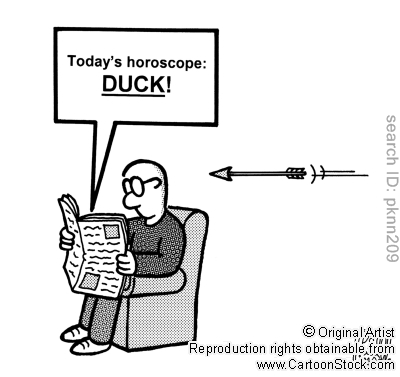 Zodiac Signs and astrology have been around for a while. The basis of astrology is that the stars in the sky are able to tell about whom we are and what we will encounter in the future. It lumps each individual into 12 signs: Virgo, Leo, Cancer, Gemini, Taurus, Aires, Pisces, Capricorn, Aquarius, Sagittarius, Scorpio, and Libra. Your sign is determined by the date in which you were born. The strongest thing that has always stood out, at least to me, is that if we were all at the fate of the stars, there would not be any individuality at all, all of us would pretty much endure the same fate, and there are only 12 different outcomes determined by the stars. Also the claims that a cosmic force from the stars, are able to play a hand in each individual’s life is an extraordinary claim, which would also mean that my life trials and tribulations are match by anybody who was born in the same day as me, but the year in which you were born has no bearing. 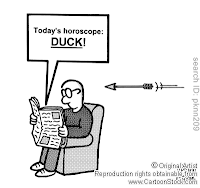 I used to read the astrology paper in the newspaper once in a while, and I skim it and see if there was a hit and most of the time no, but it was always interesting when there was something similar to what I was going through. Believing in Zodiac signs, is on par with believing in psychics, it is the use of cold reading in which they use vague language and hope to make a hit, in hopes that you forget about the several misses beforehand. It is something people like to believe in, and hope that something can give them the ability to be able to deal with an uncertain thing, such as the future. This was a sample horoscope that was for my sign today. Very similar to psychics telling a person that one of their loved ones, that passed away, loves them very much the zodiac signs give a very vague positive message. If anybody regardless of their signs decided to laugh a little more and no sweat the little things they will for sure have a positive day. It doesn’t give too much details and the only assumption of any significance that it makes, is that Libras are aggressive. This wasn't a bad analysis of the useless endeavor that is the horoscope. Cold reading is itself just a farce to play with minds of the ignorant after all.